Ebony is a dense black hardwood. It comes from a range of tree species of the family Ebenaceae, including Diospyros ebenum (the Ceylon ebony which is native to Sri Lanka and India); Diospyros crassiflora (the Gabon ebony, native to western Africa) and Diospyros celebica (Macassar ebony, native to Indonesia). Diospyros tessellaria from Mauritius was widely exploited by Dutch settlers on the island during the late 16th to early 18th centuries. Mun ebony (Diospyros mun) is native to Asia. Ebony has a long history dating back to Ancient Egyptian times with the wood being used for the intricate carvings of the tombs of those times. It was also used by the ancient kings of India to make sceptres. It is a highly durable wood and exceptionally attractive, lending itself to high polishing, and beautiful wood veneers. Black chess pieces were traditionally crafted from ebony, as were piano keys, lace-making bobbins, handgun grips and pool cue butts as well as finely detailed cabinetry inlay panelling. Sadly, many species of tree that yield ebony are now considered threatened due to unsustainable and illegal harvesting. In Sri Lanka, Ceylon ebony is a protected species. Harvesting and selling the wood in Sri Lanka is illegal and exports are banned. Mun ebony is critically endangered, also with exports banned, and African ebony is also listed as endangered with exports restricted. Naturally, as a Forest Stewardship Council® (FSC) certified company (reference number C109645), Read Veneers does not condone the use of any endangered tree species. We are committed to sustainability. Therefore we take steps to ensure the ebony veneers we use do not appear on any endangered lists. 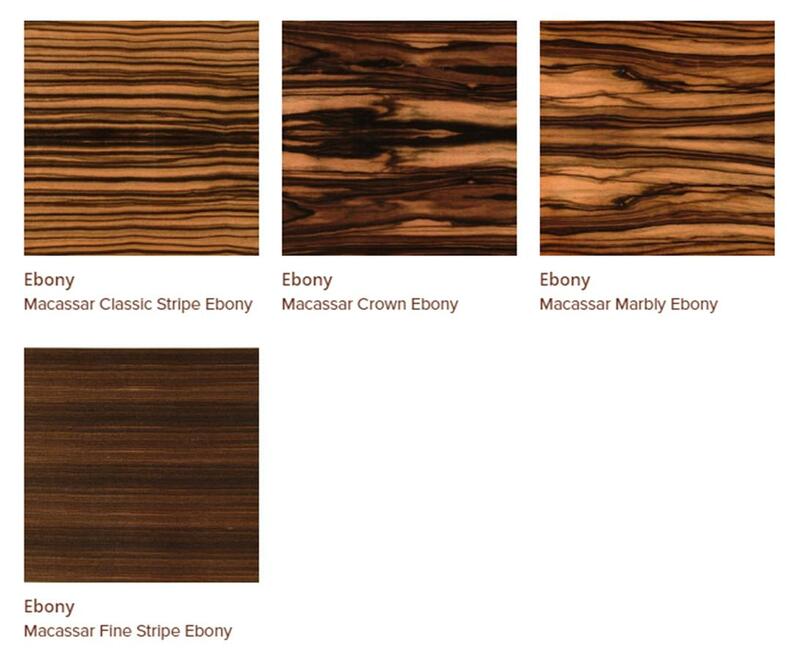 Our veneers A-Z presents four different ebony veneer options, all of them Macassar. Macassar ebony, also known as striped ebony and Amara ebony, is endemic to South East Asia. 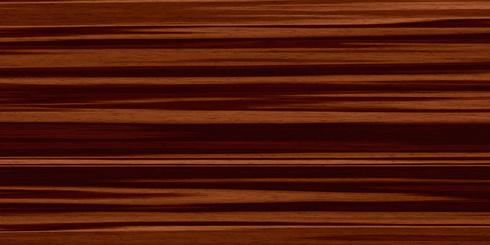 The heartwood presents a dramatic striped appearance, similar to zebrawood. The grain and finish varies depending on the cut. Classic stripe is finely grained, alternating golden and dark brown. Crown is mostly dark brown with golden flashes running through it. Marbly is a balanced mix of golden and dark brown random flowing grain, and fine stripe is mostly dark warm brown, with, as the name suggests, subtle golden stripes running through. Perfect for high end cabinetry, Macassar ebony really is one of the most striking of all veneers. If you would like to learn more about the art of wood and joinery crafting with ebony veneers, or if you have any questions about this particular veneer, please feel free to contact us for tailored advice.